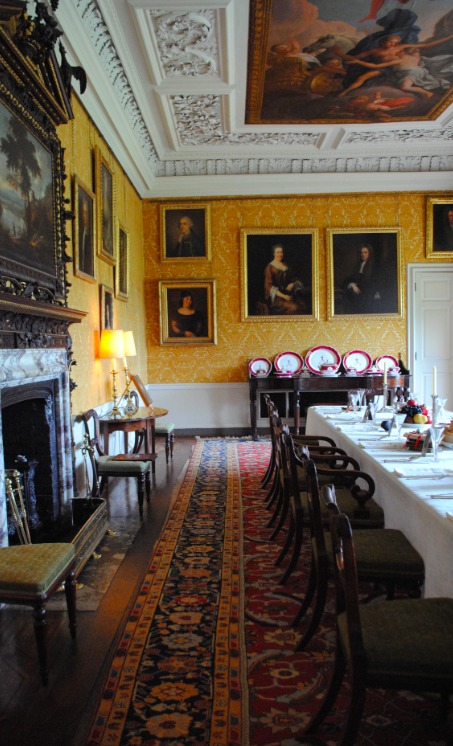 The Dining Room at Hanbury Hall is on the north east side of the building and was originally split into two rooms – the Withdrawing Room and the Lobby. The Lobby was an entrance for the Vernon family and the Withdrawing Room was part of the state apartment built for Thomas Vernon. 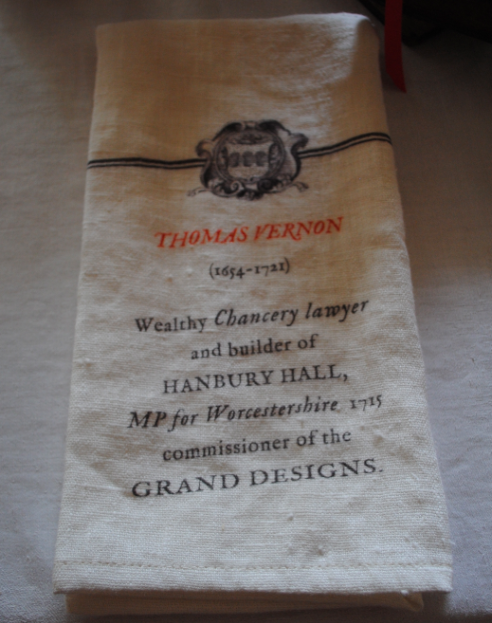 A talented lawyer at the Courts of Chancery, Thomas built Hanbury in the early 18th century and he commissioned the artist Sir James Thornhill to create the wall and ceiling paintings which adorn the building. 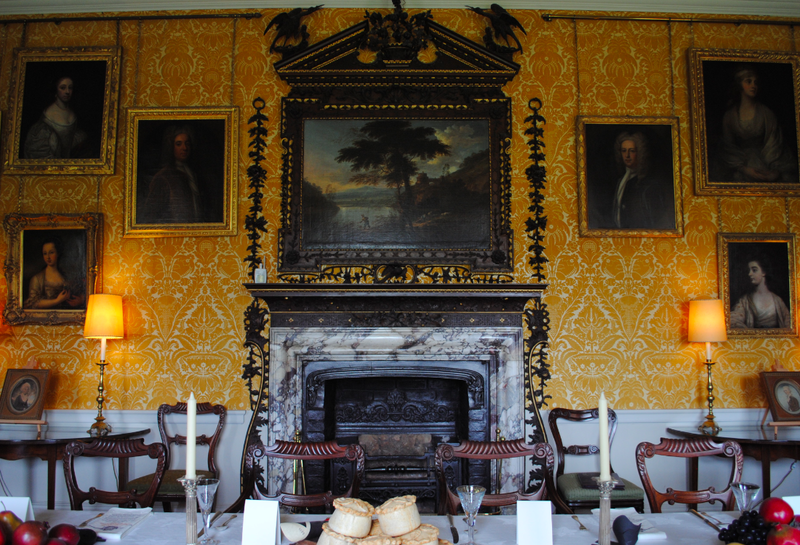 According to the plans of the architect Matthew Habershon, this room became a dining room after 1830. The Rococo chimneypiece (above) dates from 1760 and stands over an earlier chimney surround. 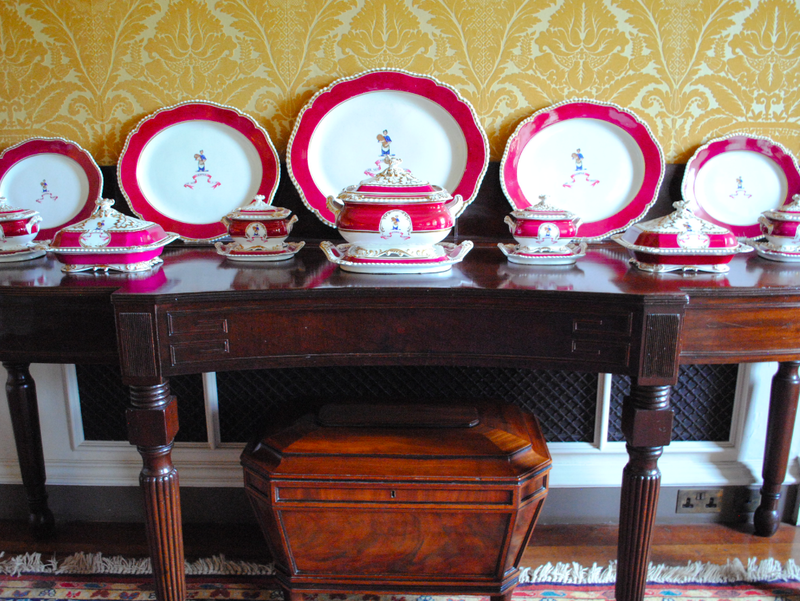 The room features elaborate furnishings which include a mahogany dining table dating to circa 1835 and part of a Chamberlain Worcestershire service with the Vernon crest and motto (below). The carpet was specially woven for the room in Turkey in 1992-1993. Various members of the Vernon family feature in an impressive collection of family portraits around the room and the classically themed ceiling depicts Aurora and Apollo. 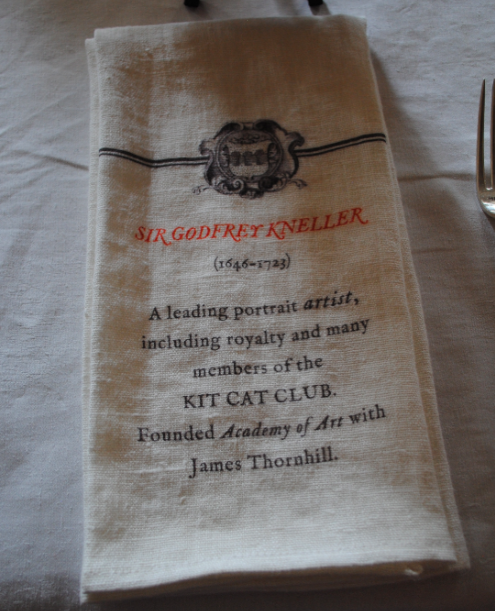 The dining table has wonderful napkins which detail various members of the Vernon family and their connections (below) and are well worth browsing. A lovely room to dine in! Hanbury Hall has some lovely gardens, I’d like to visit sometime. Thanks.